Hello and happy new year! It's time for my first Obsessions post of the year. We are nicely settled back in after our whirlwind trip to Germany (and Paris and London), back at work and getting back into the usual routine. I'm glad to be back in the warm weather with lots of sunlight! Let's go! The Marie Kondo folding technique is giving me life! I read Marie Kondo’s The Life Changing Magic of Tidying Up two years ago and got a lot out of it. it improved my perspective on possessions and reduced my anxiety around getting rid of unnecessary objects, and has encouraged me to stop buying things I don’t need or want. I’m a bit of a hoarder and can have a hard time discarding things even if they’re not only not sparking joy, but actively reducing joy by contributing to excess clutter. A very brief synopsis of her full method: look at all the objects you own, determine which objects actually spark joy in your life, get rid of the rest (and stop buying things that don’t spark joy!! ), and keep your joyful objects tidy and organised. She has a new show on Netflix, Tidying Up with Marie Kondo, cunningly timed to start during the period of New Years' resolutions. I haven’t watched it yet but it’s on my list! 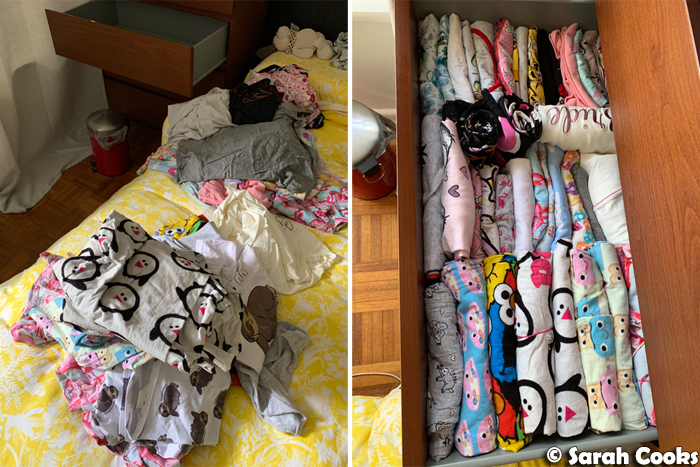 Since it came out, loads of friends have started sharing pics online of their KonMari’d shelves and cupboards, and it encouraged me to finally KonMari my overstuffed chest of drawers, and use Marie's vertical folding technique to keep my clothes tidy. I don’t like cleaning at all, but I found this process super satisfying! Just look at my pyjama drawer! I’m so proud of it! When I took everything out, I found clothes and bits and pieces that I thought had been lost for months (years)! I also found things that don’t fit anymore and I’ve given them away to charity. The drawer is no longer overflowing and every item now has a place! And I very clearly understand that I Do Not Need To Buy Any More Pyjamas. 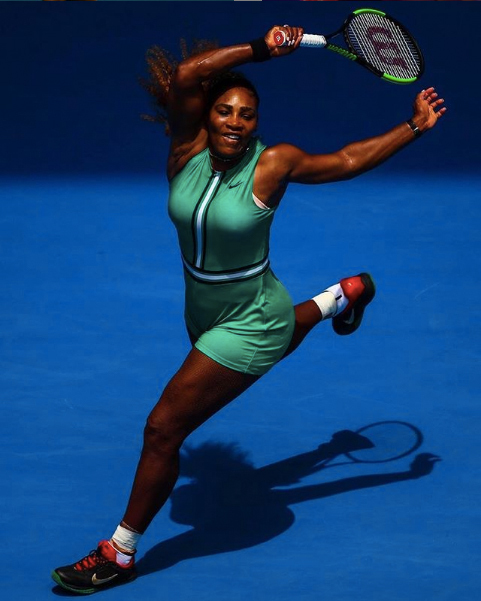 I am a huge fan of legendary Serena Williams - GOAT, tennis champion, mom, entrepreneur, fashion designer, certified nail technician (I just learned this! ), and all-around badass! But what I'm actually obsessed with is her family's Instagram accounts - there's Serena, husband and Internet entrepreneur Alexis Ohanian, plus their ridiculously adorable baby Olympia and even Olympia's doll QaiQai. (It is definitely weird for a doll to have its own Insta account but it is legit hilarious and cute). They all comment on each other's posts and it's actually really funny. And this video of Olympia clapping at a Venus vs Serena match is actually the cutest thing I have EVER SEEN. 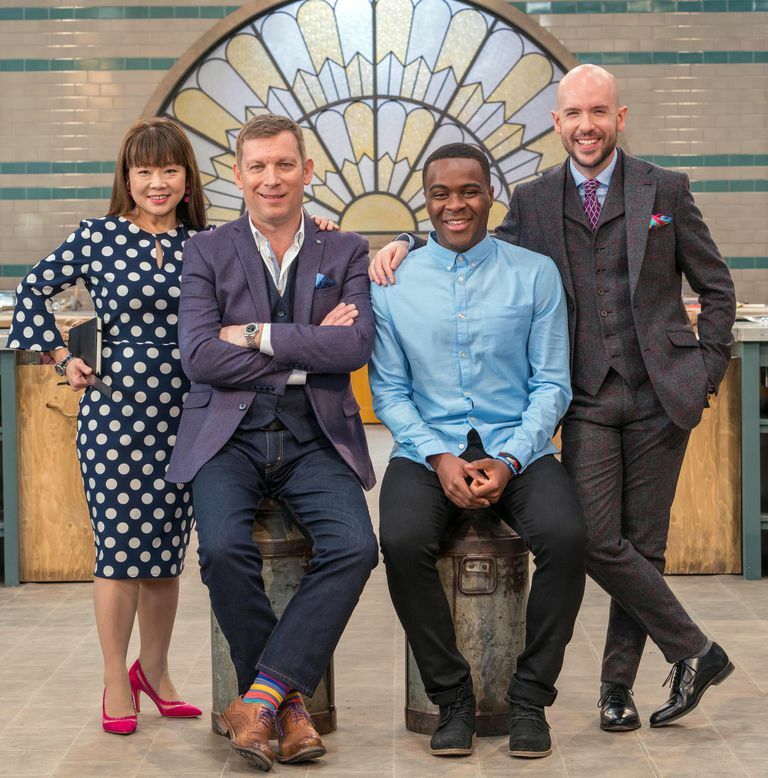 It’s rare for me to get into a reality show, but I got hooked on season 3 of Bake Off: The Professionals last year and made sure I was home every Tuesday night to watch it on Lifestyle Food! (These days we stream everything, so it was nice to have that routine of looking forward to my show coming on each week). I was flicking channels on Foxtel one night when I heard what I thought was a super strong Malaysian accent and had to watch - it’s so rare to hear that voice on TV here! Well, turns out it was a Singaporean accent, and it was Cherish Finden, ex-executive pastry chef at The Langham London, now Creative Development Chef at Godiva, winner of 18 gold medals in global culinary competitions, and judge on Bake Off: The Professionals. Her dress sense is on point and her criticisms are harsh. I love her! The other judge, Benoit Blin, is Chef Patissier at Belmond Le Manoir aux Quat'Saisons in Oxfordshire and holds a Master of Culinary Arts. They both really know their stuff. I loved the diversity in the show as well - in the judges, hosts, and contestants. In the show, teams of professional pastry chefs battle each other with intense technical challenges - the stuff they created was really advanced and incredible! The Jurassic Park-themed three tiered chiffon cake with live plating that Hideko and Theo from Sweet Art Lab created for the semi-final was absolutely amazing. I enjoyed learning about different patisseries and the building blocks of French pastry - pâte de fruits, pain de Gênes, crémeux, feuilletine, sablée...) It was a delight for this pastry-enthusiast to watch, and I really hope they do another season! I bought a 10-inch cast iron skillet and I LOVE it! (It's a Lodge brand skillet, not sponsored). I bought one after seeing them being used all the time in Stella Parks’ dessert recipes, and it’s quickly become my favourite piece of cooking equipment. Of course it's pretty and totally Instagrammable, but more than that, it’s very heavy duty and fries beautifully. (Steaks in the pan are *kisses fingers*). I love that you can use metal implements on it, that it goes from stovetop to oven, and that it will only get more and more effective with more use, as the cooking oil transforms into layers of seasoning. I’ve been following the seasoning and maintenance instructions on Serious Eats and it’s working a treat. I use it so frequently that I don’t even bother keeping it in a drawer; its home is the stove. 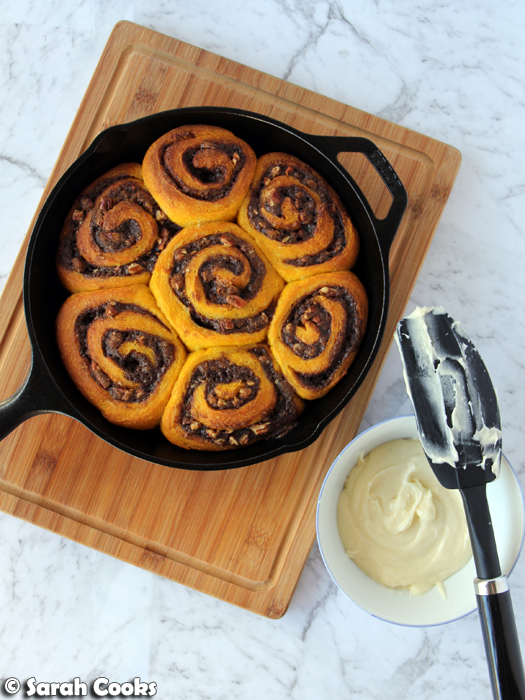 I've been using it for everything - steaks, toasties, haloumi, potatoes, pasta sauces, pancakes, a chocolate skillet cake, and pumpkin bread cinnamon rolls. 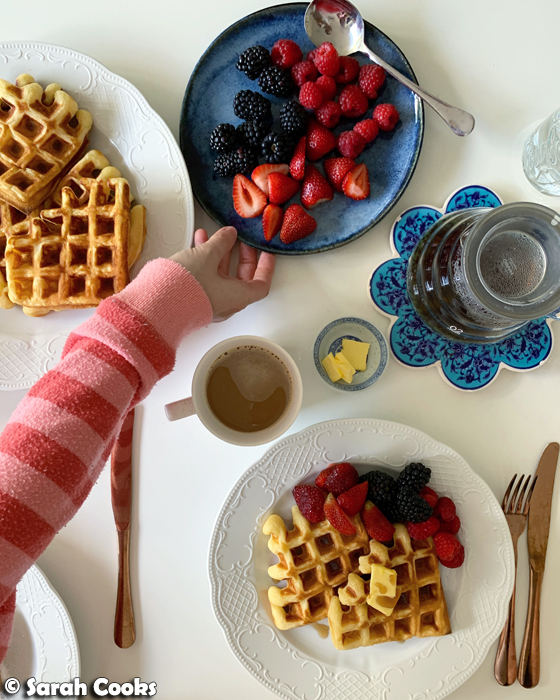 We are actually planning to slowly replace our old and worn stainless steel pots and pans with more durable cast iron and enamel-coated cast iron items. Next, I'm thinking a giant skillet cookie, a sweet Yorkshire pudding, and All Of the Bacon. 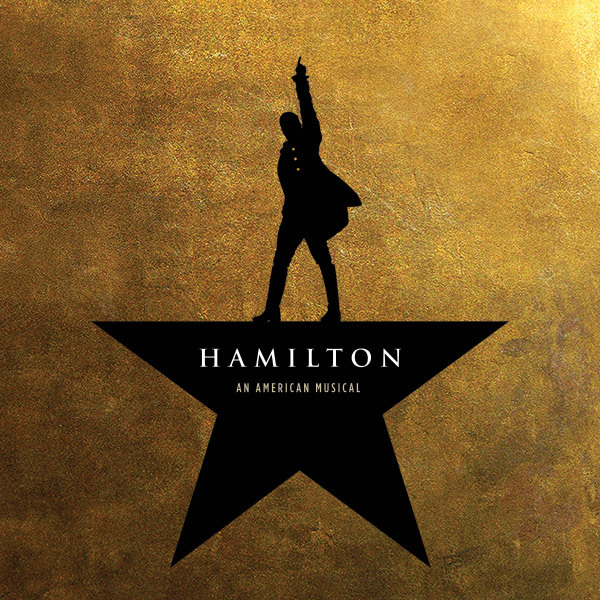 Like every musical fan out there, for years I've been obsessed with Hamilton, Lin-Manuel Miranda's wildly successful hip hop musical about the life of American founding father Alexander Hamilton. I've had the soundtrack on high rotation for ages and pretty much know all the words. It's so cleverly put together - lyrically, musically, stylistically - but more than just being clever, the songs are really dynamic and catchy and so full of emotion aaah I love it. The reason I'm including this as an official "Obsession" now is because WE SAW HAMILTON IN LONDON three weeks ago! SQUEEEEEEE! When we were organising our trip to Germany last year, we decided to spend a couple of nights in London on the way back. (Sandra was in London for work so we had to fly out of Heathrow anyway). I didn't even think about trying to see the show - my mind immediately went to food options and accommodation logistics, and I subconsciously assumed tickets would be too hard to get - but resourceful Sandra surprised me with tickets! YAY! The tickets were £250 each (!! ), but I'm so glad we did it - it exceeded all of my expectations. It really is something else seeing it performed live on stage - it's so energetic and exciting, especially when you know a really fast tongue-twisting rap is about to come up. The choreography and staging is also fantastic. It was totally worth it. If you have the chance to see it, GO GO GO. For anyone who is interested (and because I'm sure I'll forget years from now and will want to look back), here's the cast list we saw. Any other Hamilton fans - favourite song? Have you seen the show? Favourite YouTube clip? Favourite Hamilton / Burr / Lafayette? That's it for today! Coming up on the blog - lots of tasty recipes, some healthy, some indulgent; more from Germany, my trip to Paris; and our trip to London! OK so much to comment on. Olympia is adorable and I don't usually find kids adorable. And I have a lodge pan and love it to death. I really want to see Hamilton. And I've been sort of Kondoing a bit but like you cannot do it all at once because it's too much! Yay! Thank-you for reading my text-heavy post! :) I'm not really a kid person either but OMG her face is too cute to function! My wife actually bought us a second 7-inch lodge pan on the weekend, she loves it too. HAMILTON IS THE BEST. And yes, I love doing one room or one task at a time, I find it more motivating to see small steps of progress! I want try this pumpin roll. I love chockolate version but pumpin I never try. We use same skillet. Never leaves stove. Most-used kitchen implement by far. Also now my most gifted item after Christmas time. Yesss how good is it! I just got a 7-inch one too, I guess I'll be building a little collection!